Alonissos is the third island of the Northern Sporades, and part of the NMPANS, the National Marine Park of Allonisos, Northern Sporades, a tranquil and beautiful sailing area in the north Aegean Sea of Greece. Main goal of this nature reserve is to protect marine mammals such as dolphins, whales and the famous but highly endangered Mediterranean Monk Seal. Several places are well worth visiting on Alonissos: the Chora, Patitiri port, Tzorti bay and Steni Vala port. But also the adjacent uninhabited island of Peristera offers some nice anchorages. Immediately to the northeast of Alonissos the core of the marine park will - if you are lucky - enable you to see lots of dolphins and rare species of seabirds. 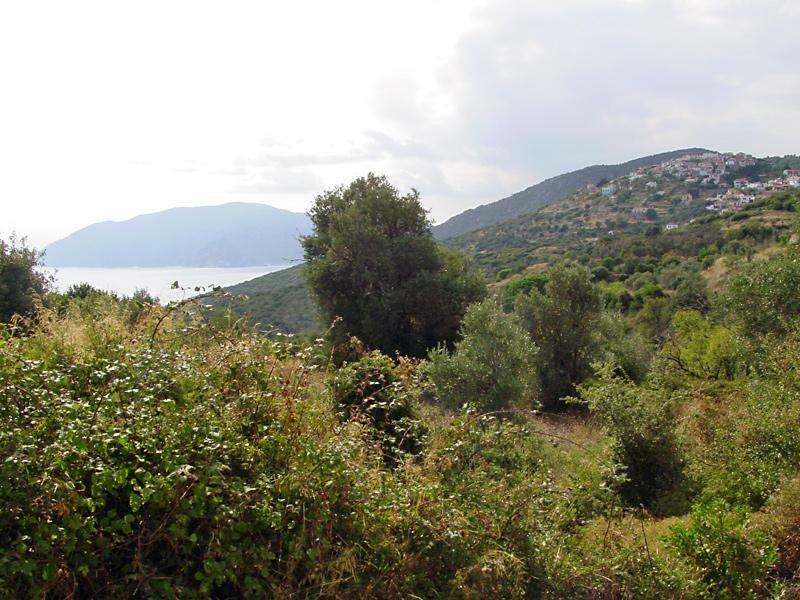 To the southeast of Alonissos there is the interesting island of Skantzoura, with good anchorages. An ideal stopover if you want to include Skyros in your sailing holiday in the Sporades as well. The photo shows the Chora village of Alonissos on the hilltop, overlooking the rest of Alonissos island with in the background the island of Skopelos. The picture was taken during our own sailing and yacht charter holiday when we walked from Patitiri port to the Chora. The port of Patitiri is a treat as well, it is partly surrounded with impressive cliffs. Note that Alonissos is often called Alonisos or even Allonisos, it's all the same island, though!